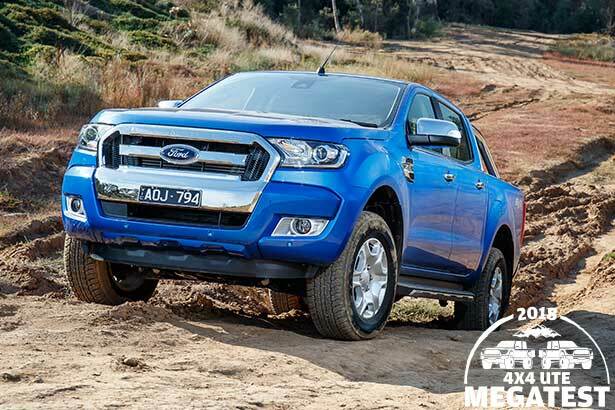 Ford’s Ranger is proof that Australia is the perfect place to design and develop a ute. Hopefully there will be more of it! 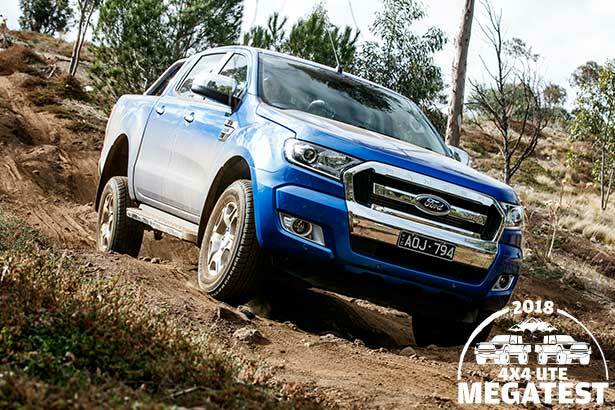 Designed and developed here in Australia as part of a global Ford effort and arriving in late 2011, the Ranger has gone on to do the near unthinkable: challenge Toyota’s iconic HiLux for Australia’s most popular ute. In fact, last year, it knocked off the HiLux as both Australia’s best-selling 4x4 ute and best-selling 4x4 overall, only falling to HiLux in overall ute sales thanks to the popularity of HiLux 4x2. What we are testing here is a Ranger nearing the end of its life cycle, as, before year’s end, the next-generation Ranger will be here. Among other things, it will offer the option of a far more sophisticated and more powerful 157kW (211hp)/500Nm, but very much smaller two-litre four-cylinder bi-turbo diesel that will also power Ford’s upcoming ‘hero’ ute, the Raptor. That’s in the future. 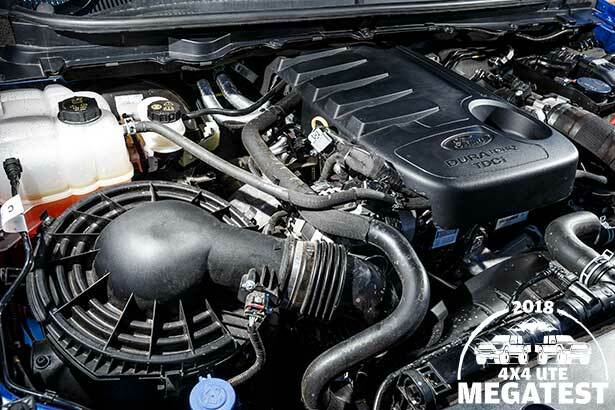 Now we have the familiar 3.2-litre inline five-cylinder whose performance and character defines the very essence of what it’s like to drive a Ranger. This is a lazy, slow-revving engine but one bursting with torque right from the get-go that gets any job done with very little fuss. Being a ‘five’, it can be a little lumpy at idle but quickly smooths out nicely and, along with its offbeat sound, is very different than the typically more revvy and buzzy fours that dominate this class. In this company, only the Amarok has a sweeter engine. Despite a significant improvement in refinement for the 2016 model year, it’s still somewhat gruff and noisy. You get generally smooth and well-timed shifts from the gearbox, though, and final-drive gearing that’s tall enough to be relaxed out on the highway but not so tall that the engine is looking for a lower gear at the first hill. The only negative here is that the Ranger’s ‘big’ five-cylinder is typically heavier on fuel than most. In many ways, the Ranger’s on-road steering and handling posture reflects the engine’s relaxed character in as much as it’s stable and steady rather than being agile, perhaps in part due to having the longest wheelbase here along with the closely related but not identical Mazda BT-50. 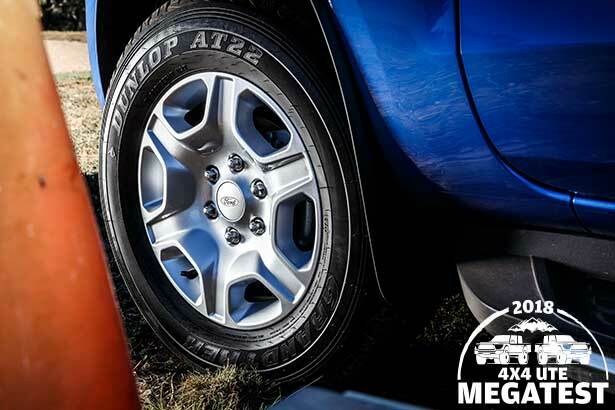 One area where the Ranger varies notably from the BT-50 is the electric power steering it gained in the MY16. The main benefit here is incredibly light steering effort at parking speeds, although Ford’s engineers have also done a fine job of dialling in plenty of feel and confidence at highway speeds. By ute standards, it’s a nicely supple ride too and the front-to-rear suspension match, even unladen, is as good as it gets. The Ranger’s ‘working’ credentials, namely its gross vehicle mass (GVM) of 3,200kg, gross combined mass (GCM) of 6,000kg and its 3,500kg tow capacity is about as good as it gets in this class, and that promise is paid out when the Ranger is put to the test. With our 900kg payload on board, no ute here bettered the stable and reassuring feel offered by the Ranger’s chassis. Sure, you could feel the extra weight on board but not to the detriment of driving confidence; no nose-up attitude, or excessive swaying or pitching, and no bottoming out over the bumps. The grunty five-cylinder engine also dealt with the load without fuss; again, you could feel the extra weight but the engine didn’t really need to work that much harder to get the job done. 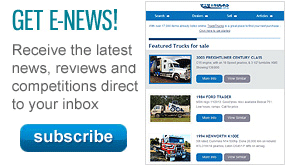 In our previous Load and Tow test, the Ranger also proved to be a top towing ute. The Ranger’s tub is also deeper than most and boasts six tie-down points, four of them mounted low in the tub, as they should be, as well as a 12-volt outlet. The Ranger’s star continues to shine off road, thanks in part to the generous suspension travel at both ends of the chassis. 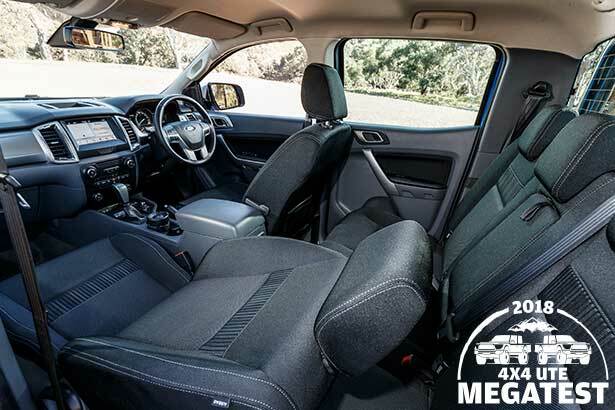 Only the HiLux has more travel at the rear and, along with the similar Mazda and the Amarok, this sets the Ranger apart from the rest of the utes here. The Ranger’s long travel suspension means wheels on the ground longer and for more often in gnarly going, which means less reliance on its rear locker and electronic traction control (ETC) to get you where you want. And, in what is a major bonus in this company, if you engage the Ranger’s rear locker, the ETC stays active on the front axle – all of which puts the Ranger on the top shelf in terms of off-road ability. In tight situations, where manoeuvrability is paramount, you do notice the Ranger’s length and size and the somewhat compromised vision from the driver’s seat, although any back-and-fill wheel twirling you need to do is made easy by the lightness of the electric power steering. The Ranger’s cabin is amongst the most spacious here. None better it (and the BT-50) for combined front and legroom and only the Amarok is wider, although not as long. That means decent space for five adults if you want. And even if you don’t, the driver and front seat passenger are treated to lots of room, comfy seats and a generally well-appointed interior. There’s no reach adjustment for the steering wheel, however, nor smart-key entry and start, and, while the lack of road and wind noise is a bonus in the cabin, the engine’s noise doesn’t go unnoticed. The Ranger offers five-star ANCAP safety across all dual-cab models, while XLT and WildTrak have some optional safety kit to build on that. The Ranger ticks all of the practicality boxes, starting with an 80-litre fuel tank to help offset its above-class-average thirst. The 17-inch wheel and tyre spec – the same as HiLux – is another practicality bonus, as is the good range of aftermarket support and dealer network, especially away from the major cities. All Ranger 4x4 dual-cab pick-ups have six cabin airbags, cruise control, auto headlights, rear locker and trailer-sway control as standard. The XLT, as tested here, also has sat-nav, dual-zone climate, a centre console cooler, rear parking sensors, auto wipers, tyre pressure sensors, a 230-volt outlet in the cabin, a 12-volt outlet in the tub, a sports bar, sidesteps and a 3,500kg-rated towbar as standard. Radar cruise control, forward collision warning, lane-departure warning and a driver-impairment monitor are available as a ‘technology pack’ on the XLT as an extra-cost option. 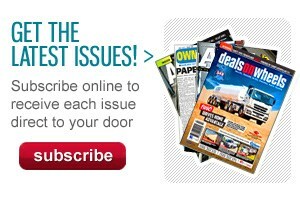 *Prices do not include on-road costs; 3.2-litre 4x4 dual-cab pick-up manuals only, except where noted.